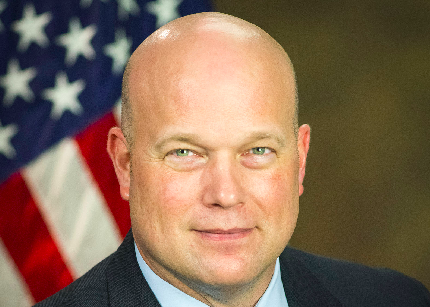 Acting Attorney General Matthew Whitaker is “unquestionably” authorized to lead the Department of Justice, according to the DOJ. This is to be seen as a huge victory for the President, who appointed Whitaker knowing he's previously stated that possible means of <i>strangling the Robert Mueller investigation</i> are possible by reducing his budget. The 20-page letter issued by Justice’s Office of Legal Counsel concluded that on provisions of the Vacancies Reform Act Whitaker is fit to serve. The Vacancies Reform Act states that as long as Matthew Whitaker served 90 days before his appointment as Chief of Staff, a senior position, he's eligible to head the DOJ. Democrats are expected to monumentally lose their minds over the decision, which is nothing new to President Trump. Former Republican Attorney Generals Michael Mukasey and Alberto Gonzales, <i>well-known neoconservative pawns</i>, had publicly questioned the appointment of Whitaker due to his lack of Senate approval. Arguing that the Presidential authority to make such designations dates to the early years of the government, the DOJ roared in applause or Whitaker. The DOJ went on to cite 160 appointments before 1860 in which “non-Senate-confirmed persons performed, on a temporary basis,” the duties of secretaries of state, treasury, war, Navy, interior and postmaster general. “Mr. Whitaker’s designation is no more constitutionally problematic than countless similar presidential orders dating back over 200 years,” the opinion stated. "Doesn't that mean that, in theory, the president under your interpretation could fire anyone he wants and … just make anyone a Cabinet official?" a reporter asked the Justice Department official. "I don't want to address hypotheticals," the official responded, "[but] it is correct that if the president terminates officials, that official is unavailable under the Vacancies Reform Act." Despite this, with the blessing of the Department of Justice, President Trump now has an officially established Acting Attorney General who wishes to stop Robert Mueller and the Special Counsel. The witch hunt continues, for now, but we will certainly be watching the above story for more information as it's provided. I hope this MAN has some balls, not like cuck CIA agent that just got booted!